The International Six Day Trial (ISDT) was a week-long trial race that started back in 1913. Factory teams participated on gruelling courses thorough the mountains and mud of Europe to test the performance and reliability of the various marquees- with strict rules on servicing/repairing during the competition. 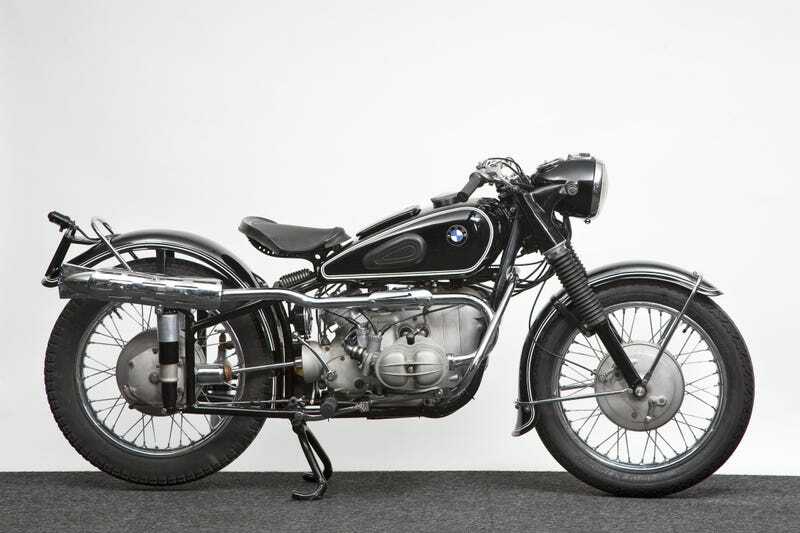 Came across some photos of two of BMW’s 600 cc factory bikes from 1953, and they’re just too beautiful to not share.